Advice to help you navigate the estate and health-related challenges of life. 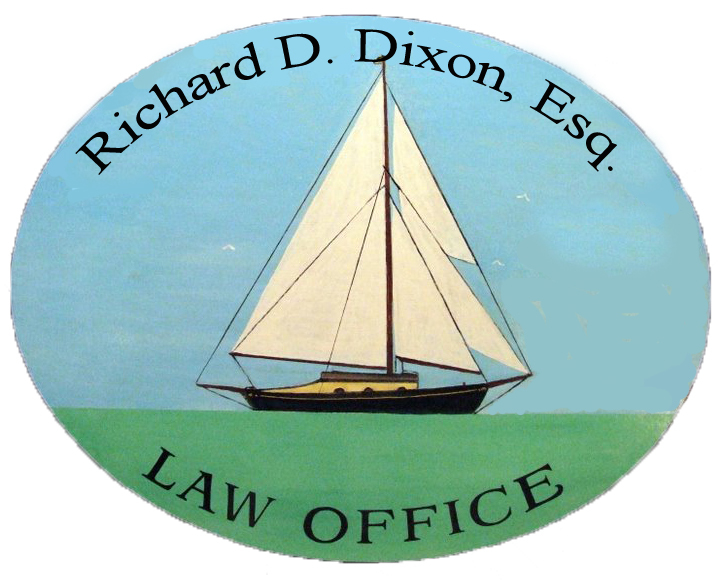 Richard D. Dixon is an attorney who has been practicing law since 1984. His focus is on the areas of real estate and property law, wills, trusts and estate planning, and a broad range of elder law, including helping people & their families or caregivers with long-term planning, living wills, preservation of assets, conservatorships and guardianships. Anne-Marie Foster has over 35 years experience in the healthcare field as a respiratory care practitioner, with focuses on homecare, education and reimbursement issues. Now using her multi-faceted skills for Geriatric Care Management (GCM), her job ranges from performing home assessments to helping people connect to services and programs that - whenever possible - enable them to age safely, independently, and in a place of their choosing. Health Care Instructions or a Living Will to encourage families (also known as Advance Directives) to talk about important end-of-life issues before they find themselves being forced to do so. A Living Trust accompanied by a pour-over Will to allow assets to pass as intended, at death or incapacity - unencumbered - and without unnecessary intervention from probate. A traditional Last Will & Testament to name a guardian for minor children to help ensure that parental wishes are followed and help avoid a family dispute or interference by the courts. A timely ElderCare Plan that identifies obstacles to independent living and provides suggestions for resolutions to overcome the identified functional limitations. What is a geriatric care manager and how can they help you? If you or anyone you know has been hospitalized lately, you’ve probably heard of a case manager. They work for the hospital and they help coordinate patient discharges to either a rehab facility or back home, and then arrange for all the services the patient will need while recovering. The cost for those services is included in the hospital bill. But let’s say someone isn’t sick or injured enough to go into the hospital. And they are over 65. Maybe they just need some extra help around the house, someone to drive them to doctor appointments and be an extra set of ears, help them to remember to take their medication, or to help them pay their bills. Where do they turn for help with the complicated maze of social service programs out there? Although the general perception is that Medicare covers everything for our older citizens and that it is all provided at no charge, this is simply not the case. Medicare does not pay for long term care in any setting. They will pay for up to 100 days of a nursing home stay following a hospitalization of at least three midnights, so long as the patient is “rehabbing” or showing progress, and then Medicaid will kick in, but only if the individual has very little income and has spent most of their hard-earned savings. By privately contracting with and paying for a geriatric care manager, the individual or the family can learn what private or public services might be tapped into and have those services coordinated, monitored and managed for them in an individualized caring manner. Today’s baby boomers are generally from two income families or single income but working heads of household who are used to buying the services that they have no time (or desire) to provide themselves and have the disposable income to do so. They tend to live at least 30 miles from their parents, making it more difficult for them to be the crisis manager for an older parent. Similarly, today’s sandwich generation – 40 and 50 year olds sandwiched between the needs and demands of their jobs, parents and children – also have become used to hiring others to help lessen the demands on their time. A Geriatric Care Manager (GCM) can be hired to become a proxy family member and provide time and expertise to coordinate and manage the services needed, making life easier for the adult children, while also serving to increase the safety net for the older individual and allow them to continue living in a place of their choosing for as long as it is safe to do so. The process would begin with a home assessment of the individual and the living environment. From that visit, a LifeCare Plan™ and Assessment Report that identifies any concerns and then suggests the right services at the right time and for the right amount of money is developed and presented to the client and family. The selected services are then coordinated by the GCM, with follow up, reassessment and termination/case closure as appropriate. There are many reasons why a family might want to hire a GCM but some of the most common reasons include the need for a professional assessment to determine whether the individual is safe to be alone; to get an objective opinion about the options for help when family members can’t come to an agreement; a caregiver feeling overwhelmed with responsibilities or living too far from the older person to be of any practical help; needing some respite for an older caregiver; transporting and accompanying a client to doctor appointments; or help filling out forms and applications for social services. A young couple in their 30s who are thinking about buying their first home or wondering if they need a will to name a guardian. A healthy, fifty-something couple with hectic work schedules who are being "sandwiched" by the needs of their children as well as those of their aging parents, who want to put their end-of-life wishes in writing and ensure that the family assets are protected and will be distributed according to their desires, should life throw them an unexpected curve. An older couple in their 80s with one spouse starting to become forgetful and unable to be left alone, and neither of them able to manage their finances. Schedule an appointment to learn how estate planning is for everyone, not just for the wealthy or the elderly. Estate planning needs to be considered at all stages of life and at any major transition, because it not only allows for well thought out asset management and protection while you are healthy and in full control of your LifePlanTM, it also assures convenient and easy transition in case of disability or incapacity. And finally, upon your death, the plan allows for a smoooth transition of assets to ensure your loved ones are provided for according to your wishes. ____ If you are thinking about purchasing or selling a home. ____ To discuss the need for a Will to identify a guardian for your children. ____ To execute a Health Care Directive and to discuss the need for a Durable Power of Attorney. ____ To learn how a Living Trust can eliminate the pitfalls of the probate process. ____ To schedule a home assessment and the development of a comprehensive ElderCare Plan. What and why Lifecare Transition Planning? Lifecare: because life is so much more than eldercare, healthcare or homecare. Transition: because change is inevitable, but not always easy; a smooth transition is the key. Planning: because a plan for living, aging, incapacity and dying via estate planning and asset management provides for a smooth, controlled transition.